Amazon Alexa Next Challenge: Can you improve the way Canada communicates its weather information? It’s game time! 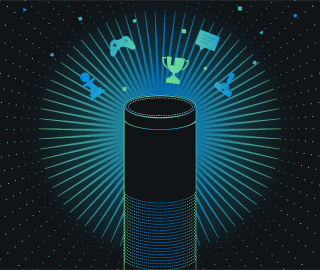 Build a game that people will love to play with Alexa for a chance to win $1,000 and an Amazon Echo. We welcome university students from around the world to build new Alexa skills for this exciting challenge. Is there a game that you love that you’d like to make available for Alexa? Do you have an idea for an all new, original game? Whether it’s a single-player or multi-player game, use your creative mind to build a top-ranking gaming skill for a chance to win. - Jeopardy! - Test your knowledge on categories including sports, pop culture, and more. - Game of Trivia – The perfect skill for a Game of Thrones fan. Test your knowledge of the Seven Kingdoms with your friends. - Song Quiz - Guess the correct song title and artist. Challenge friends and family in live competitions or compete against other music fans. - Rock Paper Scissors Lizard Spock - Challenge Alexa in a Rock Paper Scissors Lizard Spock competition as seen on ‘The Big Bang Theory’. - Would You Rather for Family – An addicting game where you make a choice between two lighthearted and silly situations. We can’t wait to see what you build! Need another reason to participate? Developers who build eligible highly-engaging skills can earn money every month. Contest ends on November 20, 2017 at 11:59 PM PT. To learn more about the contest, please see the contest rules below. Start building your Alexa skill now. - Submit your Alexa skill for certification. • Skills that do not pass Amazon certification will be reviewed but will not be eligible for points awarded to published skills. See contest rules below. 1. What is the Alexa Skills Kit? The Alexa Skills Kit (ASK) enables developers to easily build capabilities, called skills, for Alexa. ASK includes self-service APIs, documentation, templates, and code samples to get developers on a rapid road to publishing their Alexa skills. 2. Can I participate in a team? Yes, you can participate as a team. Please submit one application per team. If you work in a team, you will be responsible for splitting the prize in the event your skill is selected as a winner. 3. How do I build my skill? 4. How can I build my skill if I don’t have an Echo device? 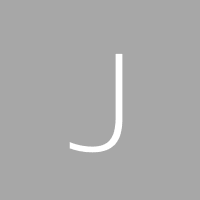 Echosim.io by iQuarius Media, an Echo Simulator, is intended to allow developers who are working with the Alexa Skills Kit (ASK) to test skills in development. If Echosim.io does not support the Alexa language of your skill, you can test your Alexa skill using the Service Simulator on the "Test" page in the Amazon developer portal. 5. How do I publish my skill? If you built your skill and passed Amazon certification, you successfully published a skill. Learn more about submitting an Alexa skill for certification. 6. How long does it take for Amazon to certify and publish my skill? It typically takes a few days for Amazon to certify your skill. Remember that getting your skill published will earn you 50 out of 100 points. Submit your skill for certification early to earn these points. 7. Where can I find my skill ID? Your skill ID can be found in your Amazon Developer Console: Alexa > Alexa Skills Kit > Your Skills > Skill Information > Application ID. The ID for your skill is unique and generally starts with amzn1.ask.skill.